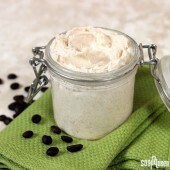 This week, we shared a collection of recipes designed to keep your hair silky and smooth. 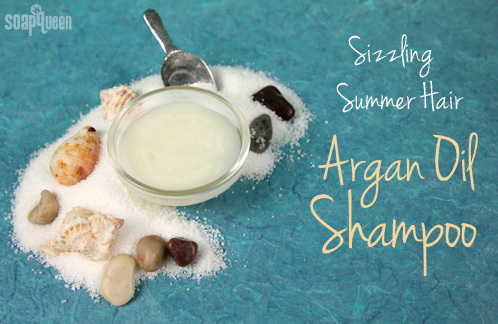 The Argan Oil Shampoo Tutorial uses hair loving ingredients like Nettle and Carrot Extract to nourish hair during hot summer months. 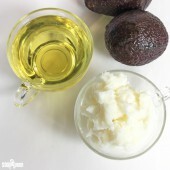 To complete the routine, the Leave-In Argan Oil Conditioner Tutorial is incredibly moisturizing and great for de-tangling. 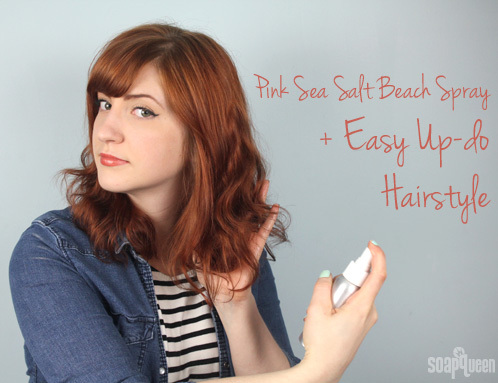 If going to the beach everyday this summer is not a possibility, you can easily recreate the texture of beach-hair with the Pink Sea Salt Beach Spray. 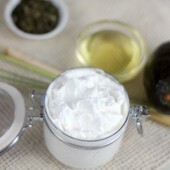 Simply spray dry hair and “scrunch” to help define curls, and make your hair more manageable when creating up-dos. If you’re tired of the traditional pony-tail, included in this post is a simple hair tutorial that’s great for beating summer heat. 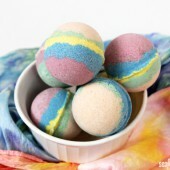 The warm weather has certainly inspired use of bright color palettes and fruity scents. 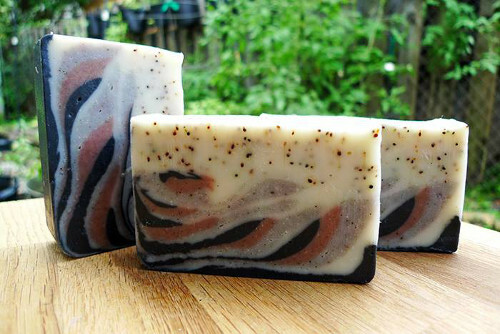 The soap created for an upcoming Soap Queen TV short is a perfect example! 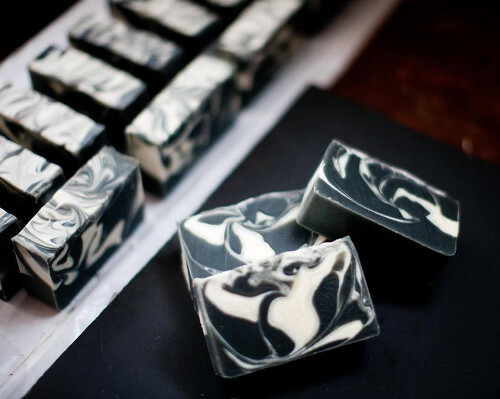 On the other hand, our Facebook Photo of the Week from Shana of Bathvs features a classic color combination of black and white, resulting in a soap that is perfect for all seasons. 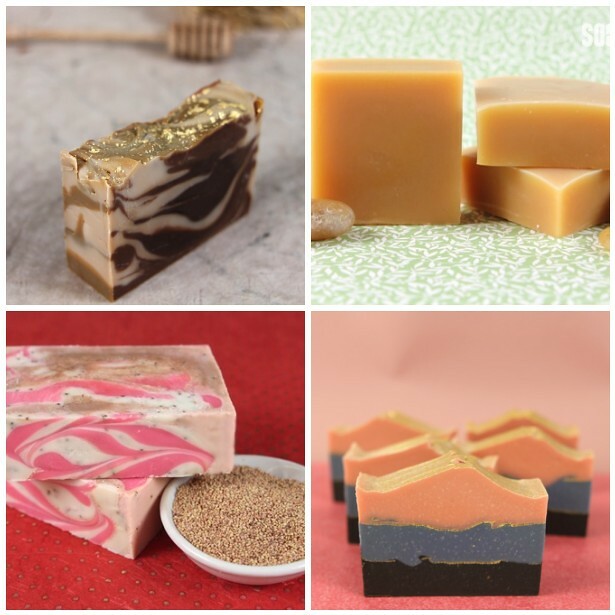 This week, several more guest bloggers shared their take aways from this year’s Handcrafted Soap and Cosmetic Guild Conference. First, Jodi from Empire Rose Soap Co. walked us through the process of creating your own nail polish. If you’d like to learn more about customizing your own nail color, the How to Customize Nail Polish Video is here to help. Jean from SoapArt summarized a Soap & Cosmetic Guild Conference session about how to use a wide variety of exfoliants in soapy projects. 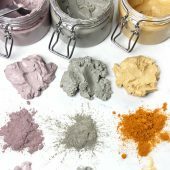 If you can’t decide on a scrubby additive, the Exfoliant Sampler pack is a great way to try a wide variety. 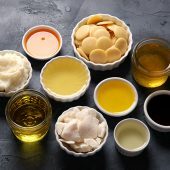 With this pack, you’re on your way to creating everything from Gardening Cold Process Soap, to a gentle Oatmeal Facial Scrub Mask. 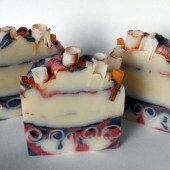 With summer in full swing , we were inspired to celebrate Independence Day with a soapy project. 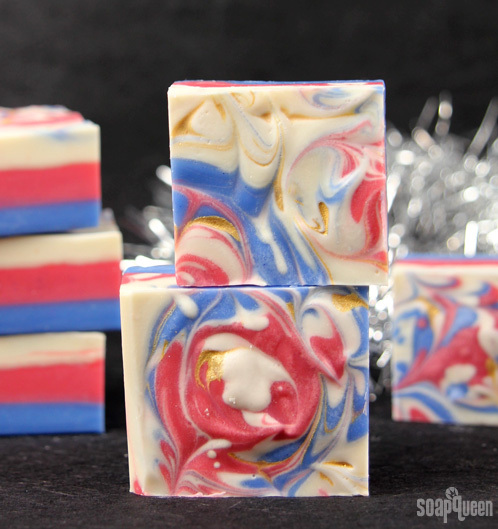 Full of red, white and blue spirit, the 4th of July Fireworks Cold Process Tutorial features a soapy swirl with Gold Sparkle Mica painting. If you are looking for more Independence Day inspiration, the Easy 4th of July Star Tutorial and the 4th of July Mashup are sure to give you some ideas! 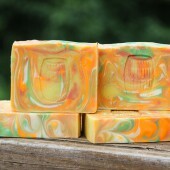 Creating soap for holidays and events is a lot of fun, but when soap making can support a cause, that’s even better. 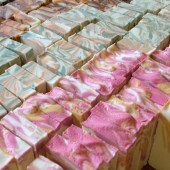 Created by Kerry of Sensually Soaps, this beautiful cold process was created as a fundraiser for Breast Cancer Research. 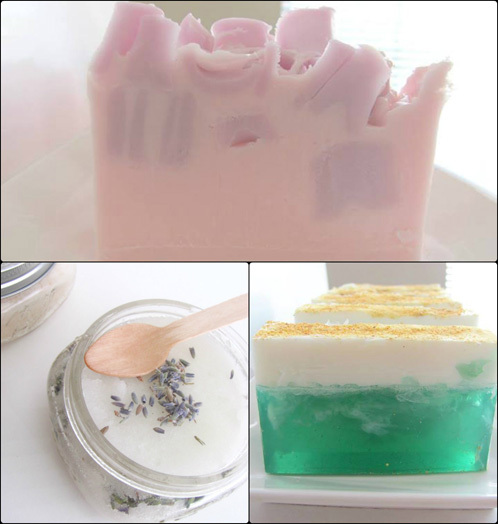 This week we looked to nature for soapy inspiration. 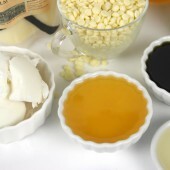 If you are a candle maker, the Garden Candle Tutorial is a great project to expand your skills. 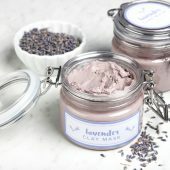 If you prefer a simple, more natural candle, the Eco Chic Candle Tutorial is a fast and functional way to recycle jars. 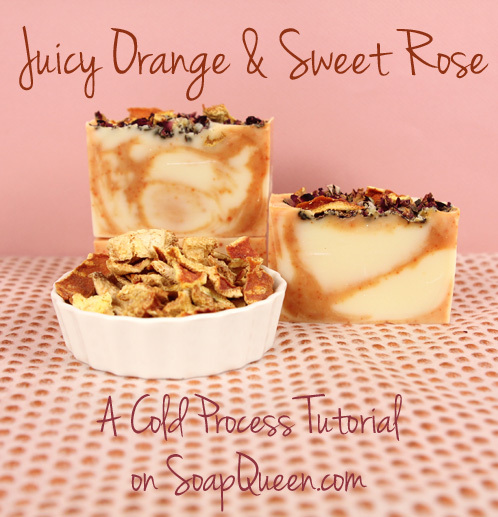 We also shared the beautiful Juicy Orange and Sweet Rose Cold Process Tutorial. 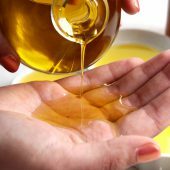 Made with 10x Orange Essential Oil and colored with Paprika, this cold process tutorial looks as fresh and juicy as it smells! 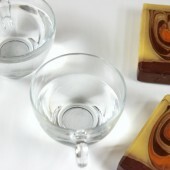 Paprika is a fantastic way to naturally color your soap, as seen in the Indigo Spoon Plop Cold Process Tutorial. 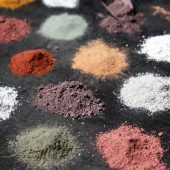 If you’d like to learn more about natural colorants, the Sunday Night Spotlight: Natural Colorants is full of info. 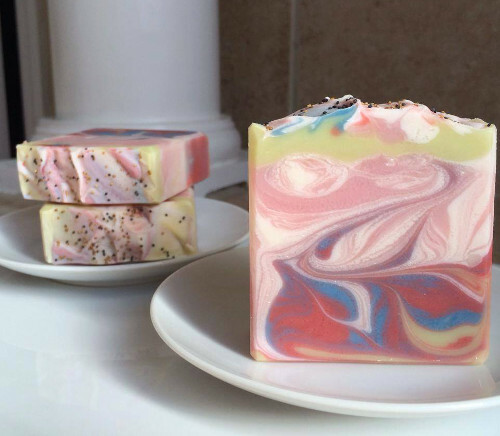 Speaking of natural color and additives, our Facebook Photo of the Week from Katie of Thumbprint Handcrafted Soap utilizes products from nature to give her soap lots of personality. 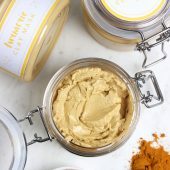 Made with walnut shells, honey and cocoa powder, this Honey Walnut Hand and Foot Scrub Soap gently exfoliates the skin, leaving it silky smooth. Welcome to Friday, everyone! Hopefully you’re staying warm despite the insanely cold weather that has swept through many parts of the U.S (the Pacific Northwest even woke up to snow on the ground this morning). 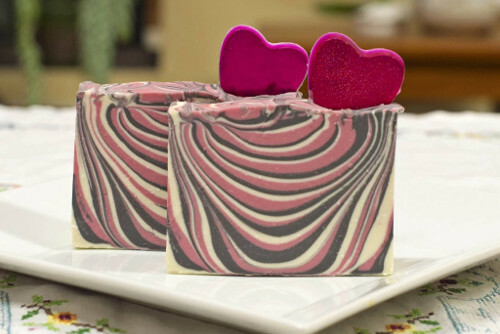 Even with the weather outside, this soap is bright and cheery Dandelion Zebra Cold Process tutorial and sure to liven up your soap lab and who doesn’t love a pink cupcake (which feature a secret ingredient)? 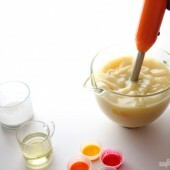 Thank you for the amazing comments on the new soapy tools post. A few lucky people will find a brand new Silicone Tool Set on their doorstep next week. 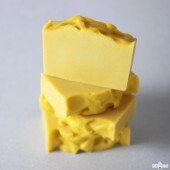 Expect to see more Bramble Berry customized soaping tools in the future. 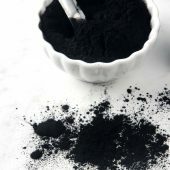 Show Your Love week is over and ended with with a pink salt foot scrub tutorial and a blow out 15% off fragrance oils sale. 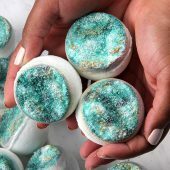 That sale may have ended, but good news: today is the last day to use the LOVE30 coupon, which is good for 30% off every item in the Mini Heart Bath Bomb kit. 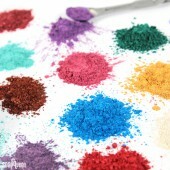 Our Natural vs. Organic post is full of information for the beginner and advanced crafter. If these terms have ever caused you confusion, it’s a good read. 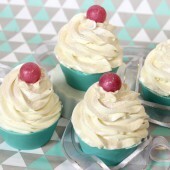 Looking for some culinary inspiration for your Super Bowl party? Out of the numerous chili recipes entered into our Chili Cook Off, Kari’s Chili Verde with Pork was the winner (click through to get the recipe to make it yourself). 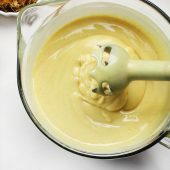 Everybody in the office loved the tangy verde sauce and hearty chunks of pork. It was incredibly delicious! 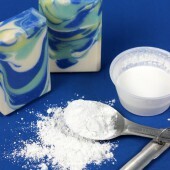 But let’s get back to my favorite topic…soap! This week’s Facebook Photo of the Week comes to us from Josie of Josie’s Beauty Boutique. 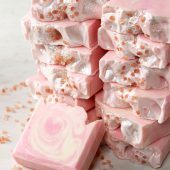 Her “Don’t Eat Me Because I’m Beautiful” soap is lovely, and I was impressed to hear that she has only been soaping since November! 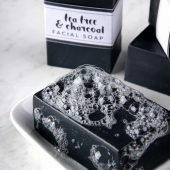 She definitely got some bonus point for that cute and clever soap name too. This week we made two exciting announcements, including the winners of our S.M.A.R.T. Goals Post. Thanks again to everyone who shared their 2014 goals with us — we had such a fun time reading them. 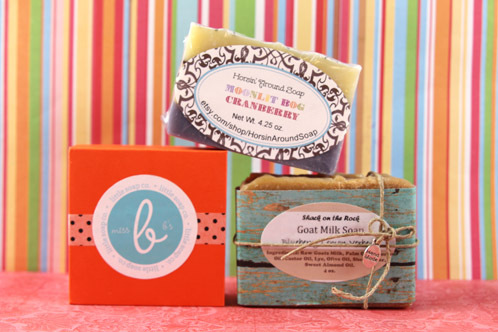 We also announced the beginning of our 2014 Soap Swap! 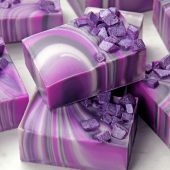 In case you are unfamiliar with our Soap Swap, it’s a fun way to swap your creations with fellow soap makers, learn new techniques and receive 12 bars of unique soap. Hurry and sign up now, spots are filling up quickly. 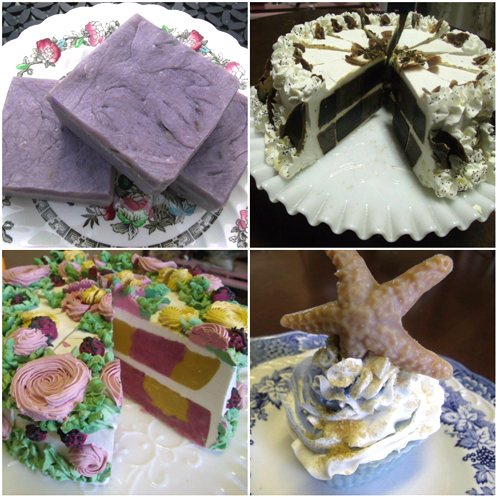 An Instagram collage of some of the lovely soaps we received during last year’s Spring Swap. This week we also shared our Honey Kisses Sheer Lipstick Tutorial, which is an inexpensive way to recreate my favorite store bought lipstick. 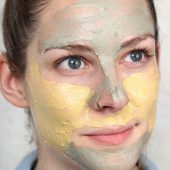 Looking for more lip recipes? First, learn all about the process in our Talk It Out Tuesday: Lip Balm post, then give these tutorials a try! 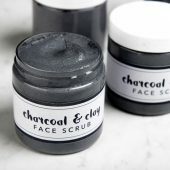 We also have you covered when it comes to cleaning up your lip balm project. As for the Facebook Photo of the Week, this whimsical swirl caught my eye. 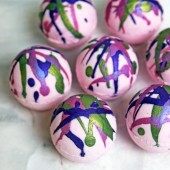 Bonus points for their awesome use of natural colorants! 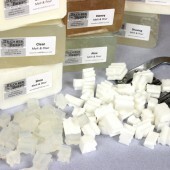 Looking to to get your soap in tip-top shape to sell? Of course having a quality product is crucial, but it also must please the eye. 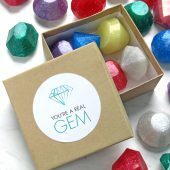 This quick video shows you how to put together our cute and sturdy cardboard soap boxes that give your products a professional look. Looking for more packaging inspiration? 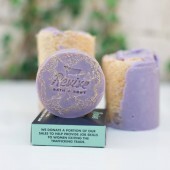 Check out the Make it Monday: #Packaging album on Bramble Berry’s Facebook, and scroll through our packaging products! After you’ve packaged your creations, it’s time to learn how to properly label them. 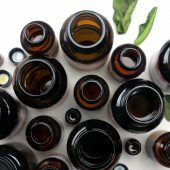 This guest post is full of valuable information regarding how to label botanical ingredients in your products according to government regulations. This week we also announced our Winter 2014 S.O.A.P panel search. 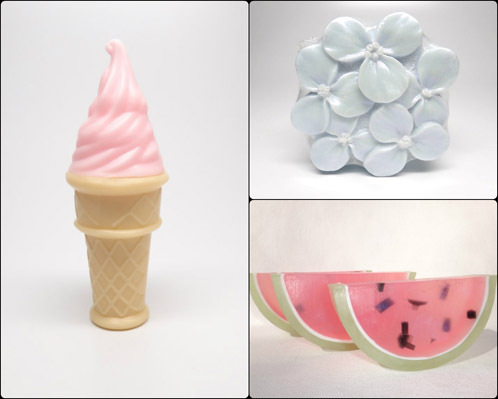 Eight lucky soapy fans will be chosen to help us decide on new fragrances for our Spring 2014 line. Sound like fun? Head over to this post, enter to be a part of the team by tweeting, pinning or blogging about your favorite Bramble Berry product, and you might be chosen to help us test the mystery fragrances. 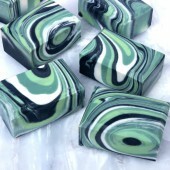 As for our Facebook Photo of the Week, there’s no mystery here: this soap is simply stunning! I hope everybody had a happy and safe New Years! This week we did plenty of reminiscing on 2013 and planned for a fresh new year. 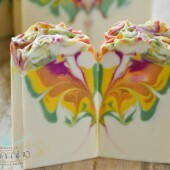 Soap Queen’s Best of 2013 features our favorite and most popular blog posts, ranging from informational posts for beginners such as the Free Beginner’s Guide to Melt and Pour Soapmaking, as well as more advanced tutorials such as the Rainbow Squirty Swirls Tutorial. Reviewing soaps from 2013 (156 likes and counting) makes me excited for what 2014 will bring! If you’re also feeling inspired by a new year, check out A Goal Without a Plan + Contest post and learn how to make your goals more tangible. Plus, tell us about your goals for the year and you could win some Bramble Berry goodies! Can you believe Christmas is next week? These last few weeks of the year have been racing by, and I’ve been busy with end of the year festivies (taking the annual Santa photo, for example. It went over exceedingly well….). The blog had a lot of action on it this week. 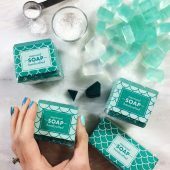 Kenna of Modern Soapmaking kicked it off by sharing solid tips on how to run your own business and on finding inspiration. Make sure to read her interview to find out what she considers to be her biggest business mistake. Do you sew? Have you ever thought about sewing? Here’s an easy tutorial on making little pants for babies and toddlers. You can size them all the way down to newborn up to 4T. Curious to know what commenters called “gorgeous” and “beautiful” this week? Click on through to see the Smoky Bay Cold Process Tutorial and see how gradiants took a colorful upscaling. Over 35% of candle sales happen during the Holiday season. 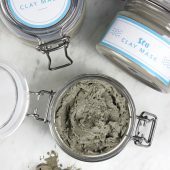 If you are curious about how to capitalize on that trend, read all about EcoSoya Advanced Wax here and check out the oh-so-seasonal Chai Tea Latte Candle tutorial. Now on to the Facebook Photo of the Week! 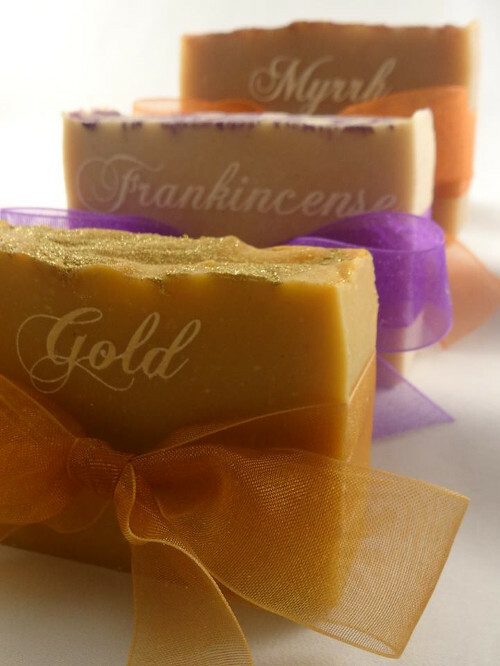 These soaps are worth their weight in gold, frankincense and myrrh. Welcome to the end of a very chilly week, everyone! We’re packing up the kids this weekend and driving 4 hours out to the coast for a mini vacation at a cute little cabin. The kids have never been in the car for that long, so it’s going to be an interesting drive for sure. We’re bringing one of Jamisen’s good friends along, and we’re prepared for an energetic — I’m avoiding the word ‘exhausting!’ — weekend. We’re also gearing up for hosting Christmas at our house this year, so I’ve got the holidays in mind. I definitely started playing Christmas music in the office the day after Thanksgiving (and would have started before that if the team had let me). 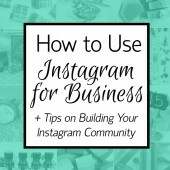 Before all the holiday hustle & bustle hits, take a look at my favorite pins, tweets and ‘grams from the past two weeks. Happy September! This week started off with the beginnings of a wet and windy Pacific Northwest fall, which made us long for hot cocoa, warm sweaters, and the holidays (it’s never too soon to celebrate!). 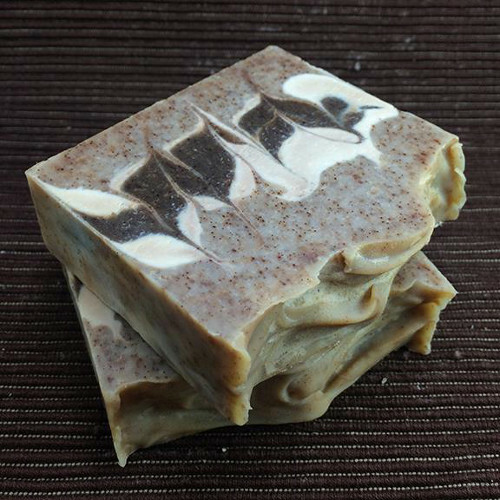 If you are looking to bring on the fall spirit, try out our Falling for Pumpkin Pear or Apple Jack Peel Cold Process Soap Tutorials. In the spirit of fall and the return to school for so many, we have a special young guest for this week’s Facebook Photo of the Week. 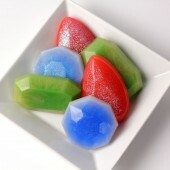 Read on to find out more about this amazing soaper. 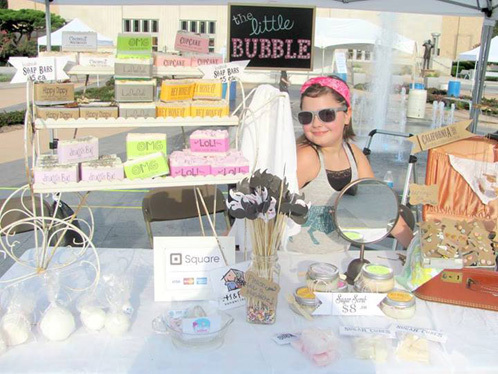 This week’s absolutely adorable photo comes to us from Bella, a 9-year-old entrepreneur and owner of The Little Bubble. Her excellent set up caught my eye. 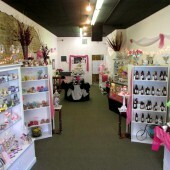 Her prices are clearly visible, the table is clean and professional, and her products are beautifully packaged. With this booth, she is setting herself up for success! 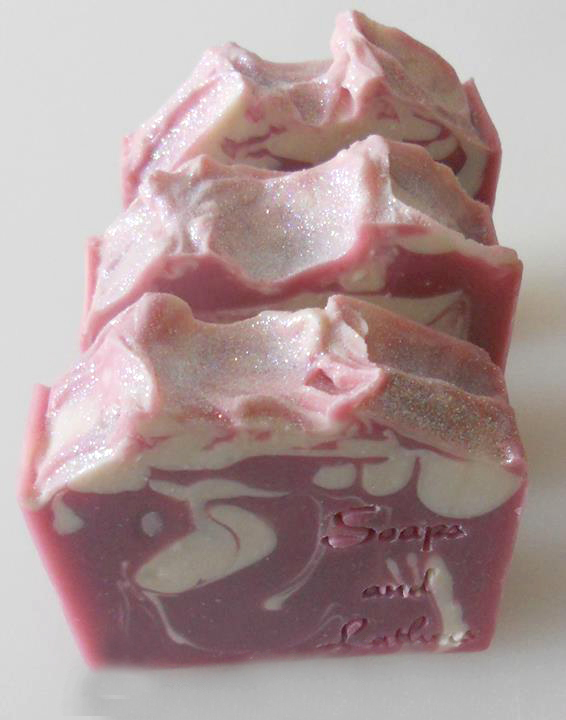 Bella has been working hard all summer using Bramble Berry products to create some fantastic soaps. Even while in school, Bella diligently jots down ideas for new soaps. 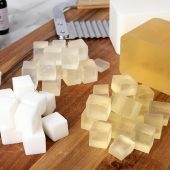 Thank you so much for being part of our amazing soapmaking community on Bramble Berry’s Facebook page, Bella, and be sure to watch out for a special little package headed your way! 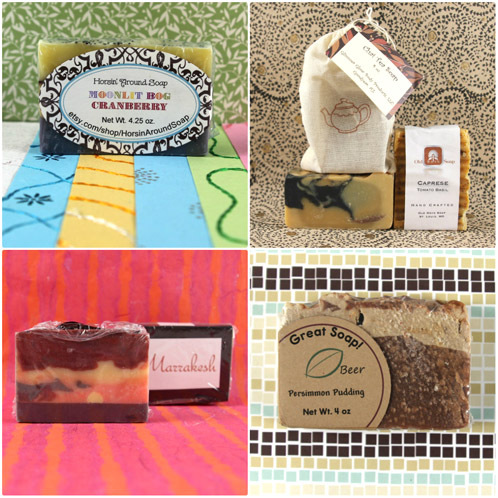 Post pictures of your soap creations on the Facebook page each week for a chance to be featured on the Soap Queen blog (as well as receive a sweet soapy package from Bramble Berry). Welcome to another weekend, everyone! Hopefully you had a fun and productive week — I know I did because my Mom was here to help out with the craziness that comes with two kids and two working parents. 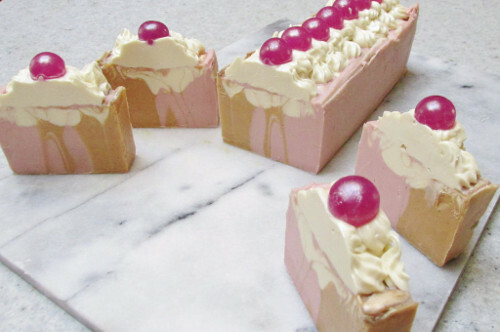 To celebrate the release of Soap Crafting, I created a series of cold process recipes inspired by the book. 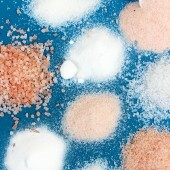 Each recipe was chosen for its unique additives or challenging new technique. I hope they help you expand your soaping skill set. 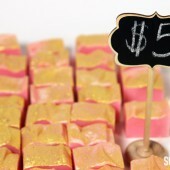 The recipes are Busy Beeswax Soap (soaping with beeswax), Sudsy Shampoo Bars (soaping with citric acid to lower pH), Strawberries and Cream (adding cream and fruit puree to soap), and Bramble Berry Soap (soaping with beer). In baby news, Lily spent mornings at home with the nanny and Grandma this week and then came to work with me in the afternoons. It’s hard to believe, but she is almost 3 months old now. She is turning into quite the charmer. Having Mom/Grandma around to help help take care of Jamisen and Lily and our garden was such a relief; bless her; she planted all my Fall starts in the garden. It’s always a great time when she comes to visit. I’m looking forward to a fun, family-filled weekend since Grandpa arrived on the train late last night (and we let Jamisen stay up to welcome him). 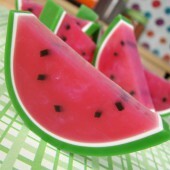 But before we take off to Farmer’s Market, here is our Facebook Photo of the Week. 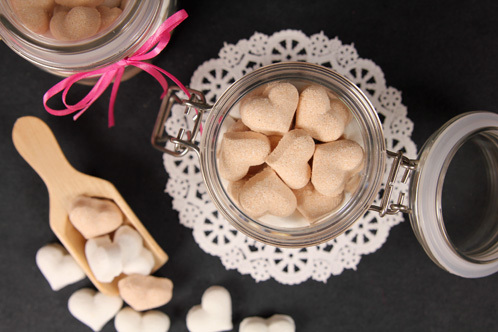 These little guys are just wait for their kisses to turn into Prince Charmings. This week’s photo comes to us from Michelle Daniel, owner of Tea Time Creations, LLC. 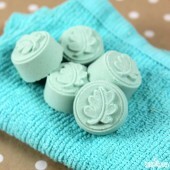 What I loved about this soap was the sheer amount of detail that went into it. 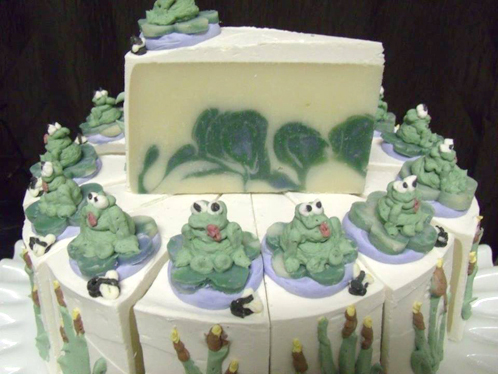 The handmade frogs with their little tongues and eyes, the reeds growing up the sides of the cake and even the unsuspecting little black fly sitting next to the frog. I can’t imagine how many hours of painstaking focus and precision it must have taken. 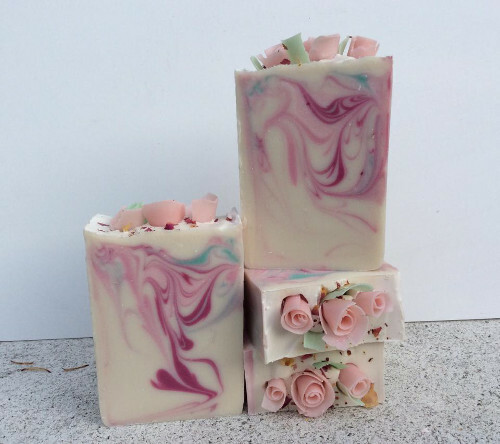 Michelle made this soap for the Holly Swirl Challenge hosted by Great Cakes Soapworks, which presents awesome competitions with a different theme each month. 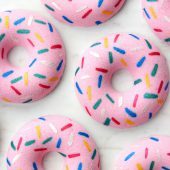 Michelle has plenty of her other creations displayed on her website, blog and shop too, and sometimes it’s hard to believe they aren’t edible! Thanks to Michelle for this excellent display of creativity, and thanks to everyone else who posts, comments and interacts with us each week on our Facebook page. I look forward to seeing your wonderful photos each and every week. 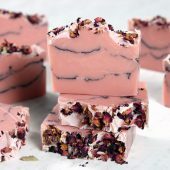 Be sure to post pictures of your soap creations on the Facebook page each week for a chance to win a gift package from Bramble Berry, and don’t forget to check Soap Queen regularly for soapy news and updates! 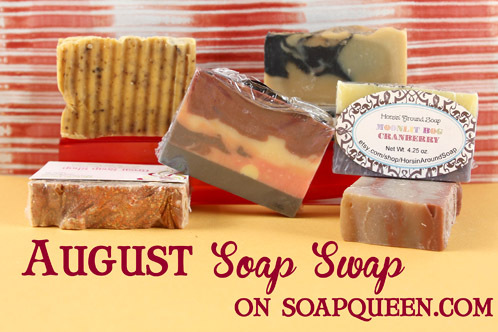 Let the countdown begin — our August Soap Swap is now less than a month away! 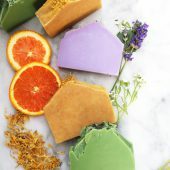 If you aren’t familiar with our Soap Swaps, they are a wonderful way to connect with other soapers, be inspired by new techniques and designs, and experience a wonderful array of fragrances. If you’ve swapped before, you know that the day your swap box arrives is practically the equivalent of Christmas morning for a five year old. 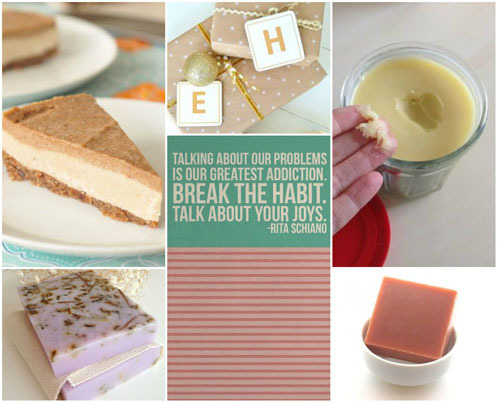 Cold process, melt & pour and hot process soaps are all perfectly okay, and if you haven’t made your soaps yet be sure to consult the chart in the swap post to make sure the fragrance you want to use is still available. The swap is free, but you will need to pay for your own shipping. To do so, be sure to purchase the Magical Swap Express Item before the August 12 deadline. 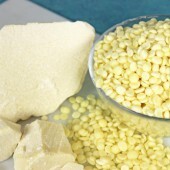 Keep in mind that if you make cold process, you will receive a batch of cold process in return. The same applies to melt & pour. 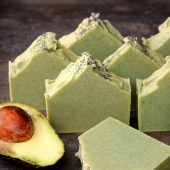 Along with your soaps, don’t forget to include a list of ingredients and the fragrance you used in your soaps — this is helpful to the swappers who will receive your soaps. 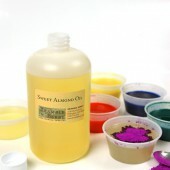 Feel free to get creative with your packaging and labeling because it’s all part of the fun! For those of you who want to participate in the swap, there’s still time! 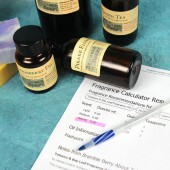 Simply email Swap(at)BrambleBerry(dot)com with the type of swap (cold process, melt & pour or hot process) and the fragrance. 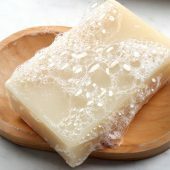 Be aware that if you decide to do cold process, your soap may not cure in time for the recipient to use. If that’s the case, simply add a cure date along with your ingredient list. Sounds easy enough, right? It is! 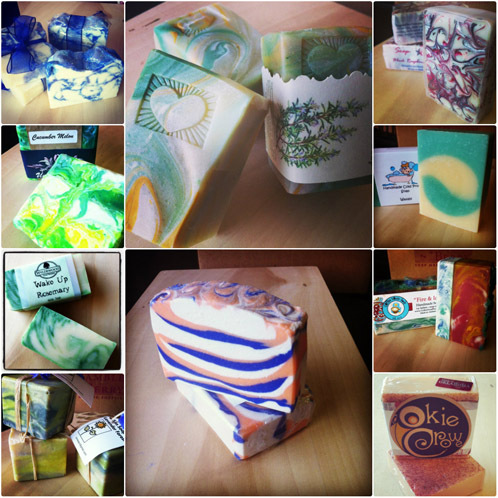 To spark your creativity, take a look below at some of the wonderful soaps we’ve received so far. Happy Swapping! 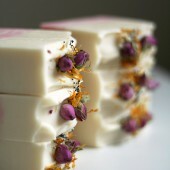 This week’s photo comes to us from the very talented Lena at Lena Alma Handmade. 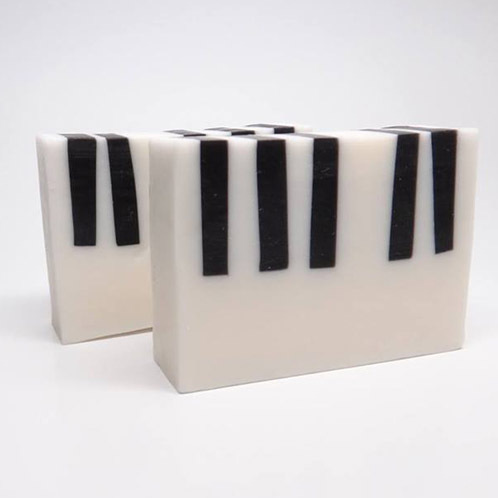 This masterfully executed piano keys soap was created using Bramble Berry’s new 4″ silicone mold that was part of our Soap Guild Conference Goodie Bag earlier this year. Did you know I play piano? I took lessons for 13 years and enjoy playing to this day. 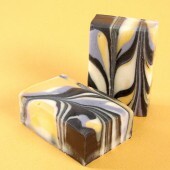 Her soap caught my eye with its crisp black embeds in a milky white background that resemble adorable piano keys. Expect a soapy little package coming your way, Lena! 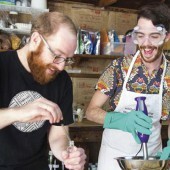 Thanks again to everyone else who is part of our soap making community each and every week. 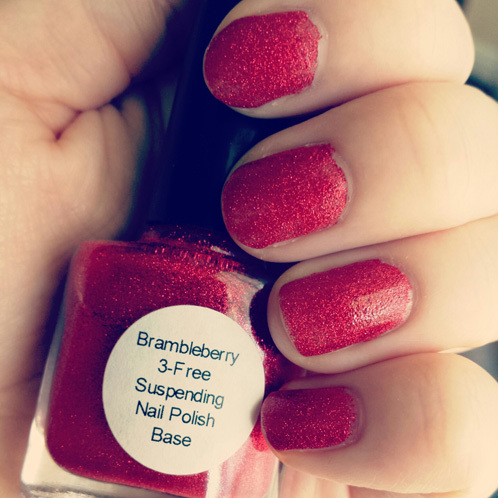 Your photos truly make the Bramble Berry Facebook page what it is!